MOSCOW, December 26. /TASS/. 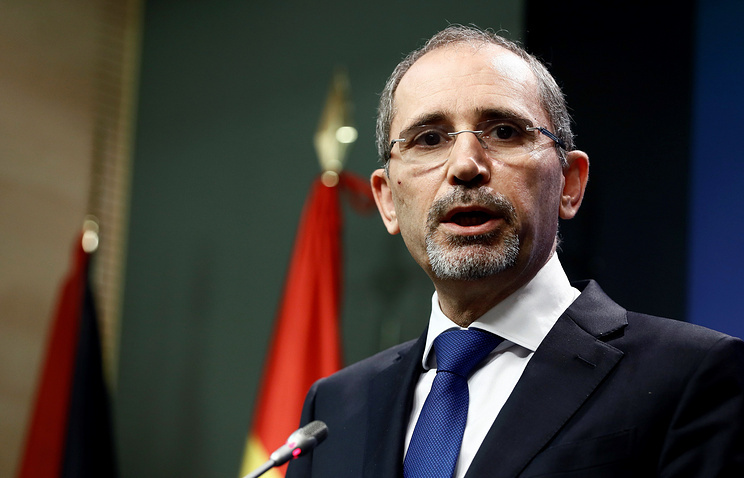 Jordanian Foreign Minister Ayman al-Safadi will visit Russia on December 28 to discuss the Syria issue with Russian top diplomat Sergey Lavrov, Russian Foreign Ministry Spokeswoman Maria Zakharova said at a briefing on Wednesday. “The two countries’ top diplomats will exchange views on pressing global and regional issues, focusing on the Syria settlement process,” she said. “There are plans to discuss ways to resolve acute humanitarian issues related to facilitating the return of Syrian refugees to their places of permanent residence,” Zakharova added. According to the Russian Foreign Ministry spokeswoman, the two foreign ministers will “pay attention to the Palestine-Israel conflict and also discuss current issues concerning bilateral cooperation.” “We maintain close political dialogue based on a high level of mutual trust, our positions on many key global and regional issues are close or similar,” the Russian diplomat pointed out. Hey Buddy!, I found this information for you: "Jordanian top diplomat to visit Russia on December 28". Here is the website link: https://russophile.org/jordanian-top-diplomat-to-visit-russia-on-december-28/. Thank you.